Josey Rebelle likes to keep things simple: heavyweight selection first and foremost. Coupled with the skills to blend it all together, seamlessly joining the dots between house, techno, disco and more, it's a formula that has seen her gain a solid reputation both in her native London and across the world. As well as DJing at clubs and festivals across the UK and internationally, Josey is a regular at some of the UK's most respected nights – including Nonsense, Boiler Room (having played at the very first official Boiler Room broadcast back in 2010), Deviation, Rinse and Red Bull Music Academy – and has graced the line ups of clubs such as London's legendary Plastic People where she held down various residencies, Fabric, XOYO and Berlin's Panorama Bar and Watergate venues. 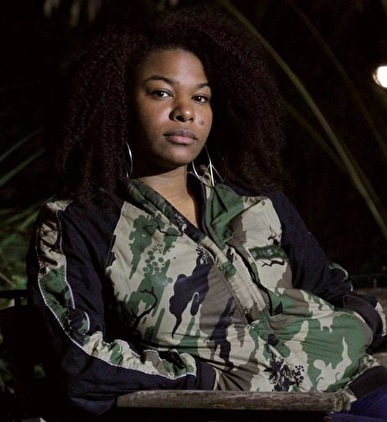 Josey has also had mixes aired on BBC Radio 1 and seen several of her mixes and streamed DJ sets selected for annual 'best of' lists compiled by the likes of Boiler Room, Fact and Complex. While her club sets centre around house, techno and disco sounds old and new, Josey demonstrates the full spectrum of her musical knowledge – from rare groove right through to drum'n'bass – on her shows every Sunday on Rinse FM, one of the UK's leading and most-respected underground radio stations which she has been on since 2011. The fact that she is one of a handful of specialist DJs on the station to host an extended three-hour weekly show is testament to both her never-ending love and passion for playing the music she loves as well as her popularity with listeners around the world.